I feel like I should open this article with the public service announcement that it is “for information purposes only”. Podcasters are generally stats geeks, and if that’s you, then you’ll hopefully find this answers a few questions about having a show on the famous “front page of iTunes”. This isn’t an article about how it’s essential to get on the front page yourself, or how it needs to be part of your podcast launch strategy. Unarguably, having your podcast featured anywhere is a good thing. 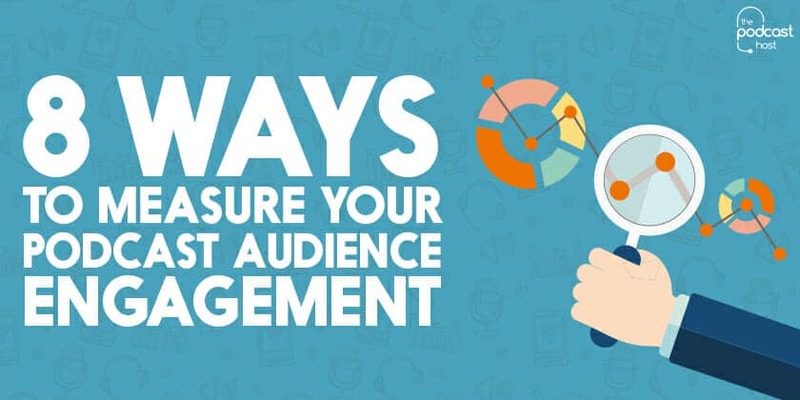 However, nothing is more important than creating a great show for the people who are already listening. Our newest podcast Hostile Worlds, was featured in the front page of New & Noteworthy, in the US store of the Apple Podcasts and iTunes apps recently. What is the Hostile Worlds Podcast? It’s a highly-produced audio drama-documentary hybrid about science and space. We host the show with Libsyn, which is one of my favourite podcast media hosts. They have an excellent official podcast The Feed, which is an invaluable source of info and news for podcasters. On a recent episode, Rob Walch (VP of Podcaster Relations at Libsyn) explained the process for submitting to be featured on the front of Apple Podcasts and iTunes. The New & Noteworthy section of the front page is 100% hand-curated by Apple. You can find out more about Apple’s podcast rankings in this article. Basically, those who host with Libsyn can contact Rob with a show or episode they believe Apple would be interested in featuring. If Rob agrees, he’ll then ask for some more details, and submit them to his contact at Apple for their consideration. This was a brand new show, which launched in the second half of August. Being new (or less than 8 weeks old) has little to do with it though, and that isn’t a necessary criteria at all. Again, check out our article on Apple’s podcast rankings for more on this. The reason we submitted the show to Rob and Apple, was due to the content of our first few episodes. We were covering some of the history of the Cassini mission to Saturn. As we launched, Cassini was about to become one of the biggest news stories in the world. On the 15th September, it would plunge into Saturn’s atmosphere, bringing down the curtain on 20 years of exploration in the Outer Solar System. We thought that this was certainly “noteworthy”, and it seems that Apple agreed! Before we dive into the data, I want to stress that nobody can ever provide you with a one-size-fits-all indication of download numbers. Other podcasts featured in exactly the same way as Hostile Worlds was, may have experienced completely different results. So what can cause different shows to perform in different ways? Pre-existing Audience – a well-known celebrity launching a podcast will have a massive head start against someone launching their first show with no audience whatsoever. Topic – some of the more niche topics have engaged and fanatical audiences, but their numbers are “small” compared to broader topics. Number of Episodes – A series with 100 episodes will naturally accumulate more total downloads than a series with one single episode. External Factors – during the period we were featured, Apple were updating iOS/The Podcast App, Libsyn overhauled their stats delivery, and hurricanes were wreaking havoc throughout North and South America. 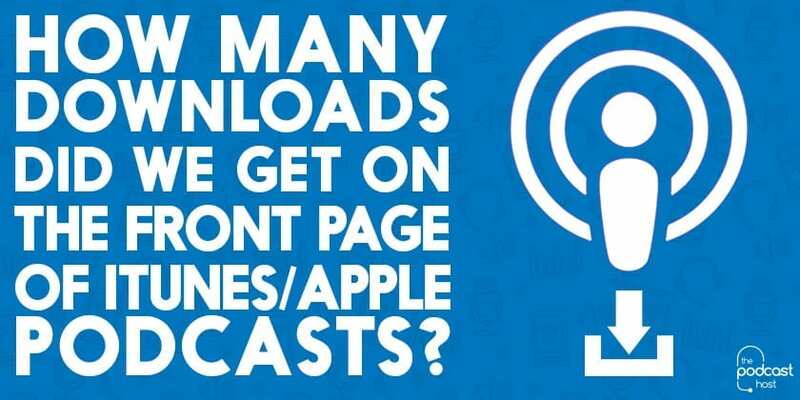 There’s always something going on somewhere that will affect podcast download numbers – either directly or indirectly. The podcast seems to have first appeared on the front page of New & Noteworthy in the US store on the 5th September. At this point we had two “episodes” on our feed, one was a trailer for the series, and the other was episode one. We’d published the trailer on August 21st and episode one on August 28th, so the show had existed for two weeks at this point. In this period we had an average of 71 downloads per day. We’d published the trailer on our website, across our social media channels, and on five of our other podcasts as our main method of promotion. On the 5th September there was a sudden spike jumping from 26 total downloads the day before (our lowest ever day) to 241. The next two days it climbed to 748 then 796. We released episode two on the 8th which pretty much doubled the recent total downloads to 1,447. The next four days went 844, 860, 1020, and 921. Then came our (to-date) best ever day for total downloads on the 13th September. I can’t find any one particular reason for this, but it reached 1,928! The day after our best download day, we hit 1,127. Then, the next day was the 15th – the day of Cassini’s grand finale. Forget Saturn though, the big news was happening over a billion miles away, back on Earth. Apple Podcasts tweeted the show out to their 482,000 followers. On top of that, they posted it on their Facebook page with over 7000 followers. On that day, we hit 874 total downloads. Then the next three days went 748, 704, and 721. On the 19th, the store updated and we were moved over to the right of the display. This meant that we were no longer one of the first shows people saw when they opened the app – they’d now need to scroll along to see us. Naturally, this meant a drop in daily downloads. We went down to 309 on the 19th, then had an average total downloads of 208 over the next five days. We released episode three on the 25th and the store was updated shortly after, removing us from N&N altogether. That day we had 1,406, then it fell to 705, and 321. 1 Download = 1 Listener? It’s unrealistic to say that every download gained from the front page period would’ve been a full listen-through. Many of these would be listeners briefly hitting play to check the first few seconds of the show out. If they liked what they heard, they’d maybe then download or subscribe, which would further inflate the numbers. It’s obvious that being bang in the middle of the front page of the biggest podcast directory in the world will increase your numbers. The easy part is sitting looking at the spikes in your stats. The hard part is trying to turn all these curious listens into actual subscribers. Our call to action at the end of the trailer and episode one was simply to subscribe to the show on Apple Podcasts. At the time of writing, episode one has 6,978 downloads, episode two 6,161, and episode three 2,295. So 37% of listeners followed the podcast from episode two to episode three. That gives us a much more accurate picture of how many people are subscribed to the show at this stage. One other factor that helps us to see that we gained a few subscribers from being featured was the show’s inclusion in the Top Podcasts feature in the Science & Medicine category. It looks like it reached as high as number three in this category, though generally seemed to float around the nine and ten marks. Again, we have more in-depth info on how all these rankings work in this article. In short though, these charts, according to Rob Walch at Libsyn, are all “100% about the total number of new subscribers in the past 7 days, with a weighted average for the last 24, 48, and 72 hours”. This was undoubtedly a pleasing experience for us. We’d put a tonne of work into Hostile Worlds and it was great that we had the opportunity to reach all these extra listeners. As I keep stressing though, this was a bonus for us, and not a necessary part of launching the show. If we hadn’t been featured, we’d have been every bit as enthusiastic about it as before. The plan for Hostile Worlds remains simply to keep making episodes that the show’s listeners will enjoy. And if it gets featured anywhere else in the future, then great. Running a podcast is a long game, and can be a slow burn in terms of growth. 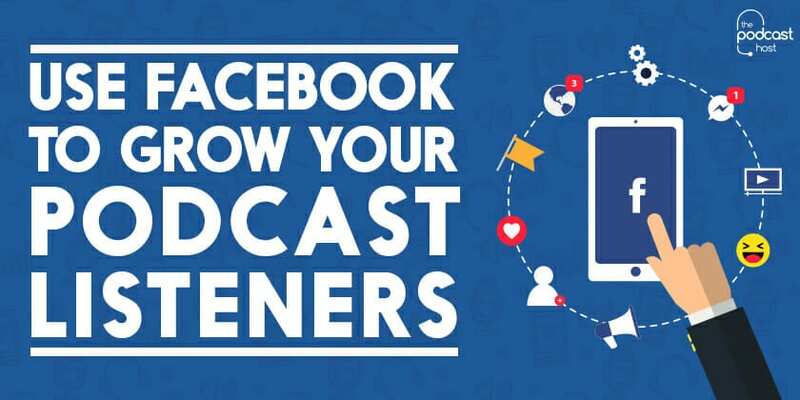 Getting in front of lots of potential listeners at once will bring you a big spike in downloads, but you still need to try and turn them into subscribers. And the best way to do that is to cater to those who are already subscribed, and eagerly awaiting your next episode. If you’d like some help launching or improving your own podcast too, then we’d love to work with you inside The Podcast Host Academy. That’s where we hold regular live Q&A sessions, run our community forum, and provide access to every video course, ebook, and downloadable resource we’ve ever created! Thank you so much for posting this! LOVE the transparency and the truth telling. I’d love to challenge you to come back a year from today and weigh in on the importance of this early feature to your podcast success. People tend to post this initial promotion but they never weigh in as to the true impact of the importance of any future growth. No one comes back with data 2, 6, 12 months later to show what that listener acquisition was and the overall growth trends. I know it will help tons of people! Cheers Elsie, and yeah that’s a great idea to keep this updated periodically. Glad you enjoyed the report! Elsie – In this post http://jerriwilliams.com/one-million-downloads-5-lessons-learned-producing-a-podcast/ I share the true impact of audience acquisition and overall growth achieved 18 months after my podcast FBI Retired Case File Review with Jerri Williams was featured on New & Noteworthy’s front page. I hesitated to share this because with the recent Libsyn download stats changes I must assume that I haven’t actually reached one million downloads yet, but the awareness gained by being featured in real. I’ll be forever grateful iTunes/Apple Podcast chose to feature my show. Cheers Dave, and that’s right yeah. Total downloads for all episodes available on the feed, which was two actual episodes and a trailer during this feature period.